Presenting Crafts-Bathroom furniture. 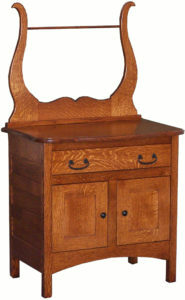 Our Amish craftsmen designed each item to help keep your bathrooms neater and more organized. So check out the magazine table, magazine rack, commode — and more. Because these Amish accessories from Weaver Furniture Sales will bring the great looks and durability of solid hardwood furniture to your bathroom. Or, visit our ‘brick and mortar’ store in Shipshewana, Indiana. And explore these pieces of Amish furniture for yourself. 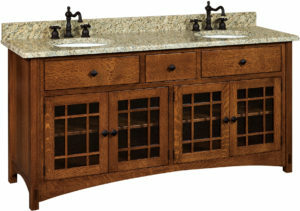 Skilled Amish artisans painstakingly handcraft each item in the Crafts–Bathroom collection from Weaver Furniture Sales. Also, the Amish men utilize regional hardwoods like oak, maple and cherry. Plus, they use traditional, tried-and-proven woodworking techniques. As a result, the piece you select should, with proper care, serve your family for generations to come.